A weekly editor has left her job with a regional publisher to found a hyperlocal news website in competition with her old employer. Kathy Bailes, left, has launched the Isle of Thanet News site after 13 years working in the regional press in Kent. Kathy was editor of the Trinity Mirror-owned Isle of Thanet Gazette between January 2015 and July 2016, before a group restructure saw her take on a content editor role with the company’s new county-wide website Kent Live. She has now left TM to set up Isle of Thanet News – which is aimed at sharing news, business, events and education content on the island. 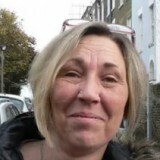 Kathy told HTFP: “I had been thinking about creating the site for a while and spoke to some other people who are running hyperlocals in different parts of the country. “The Isle of Thanet News has been received really well with lots of Facebook likes and visitors to the site over the weekend. It is still in progress, I shared it to get feedback from readers on how it could be improved, and will be taking some of their comments onboard. “I learnt a lot during my 13 years with Kent regional papers and then the last eight months in the new website-first Kent Live structure. It’s an experience I have enjoyed greatly, especially my time with the Isle of Thanet Gazette, but I felt that what I really wanted to do was focus on Thanet – the community I live in and am a part of. Kathy is currently running the project on her own and is also embarking on some freelance projects while she builds up advertising on the site. During her career, Kathy has also served as news editor for titles including the Dover Express, Ashford Herald, Thanet Gazette and Canterbury Times. Kathy’s new project comes after former Cornish Guardian journalist Graham Smith set up his own digital venture, Cornwall Reports, in opposition to Trinity Mirror’s Cornwall Live online arm just before Christmas. Graham was suspended and later dismissed for “experimenting” with Cornwall Reports while still working for the Guardian, and claimed he had set the site up after being asked to write what he termed “trivial clickbait” for Cornwall Live. Good luck to Kathy on this latest venture which sees yet another experienced editor leave the regional press and start up in competition to the traditional local publisher. More and more seasoned editorial staff are taking this on line news route,usually after being shuffled within the pack and realsing they can do the job better and more efficiantly on their own. I just hope Kathy realises the importance of taking on a commercial sales person to fund the site,there are many top advertising people out there,either those working for indepenedent publishers or those hanging on in waiting for the axe to fall. the importance of sustainable funding to any commercial venture cannot be underestimated. It says she’s set up the site in competition which would suggest its more than s hobby in which case it needs proper sustainable revenues as the first poster pointed out. What I meant was you have to live it, it’s easier to live something if you enjoy doing it. Clocking in at 9 won’t work, going to have to be a seven day a week, whatever needs doing sort of job. We all know advertising revenue is shrinking, I truly believe there’s such a small amount of money to be made in a venture such as this, and that comes from living and breathing the job, but I know it can be very enjoyable, from experience. I have a business plan, it’s not a hobby. I didn’t actually say anything about competition. Naturally there will be some but a hyperlocal and the TM machine are two very different entities so we will just have to see how that pans out.I am working all the roles mentioned above and am under no illusions about the hard slog it will take but I think this is worth a try rather than staying in a job that is no longer right for me just because of the assured salary. And yes, I do have a mortgage!